July 30, 2014. 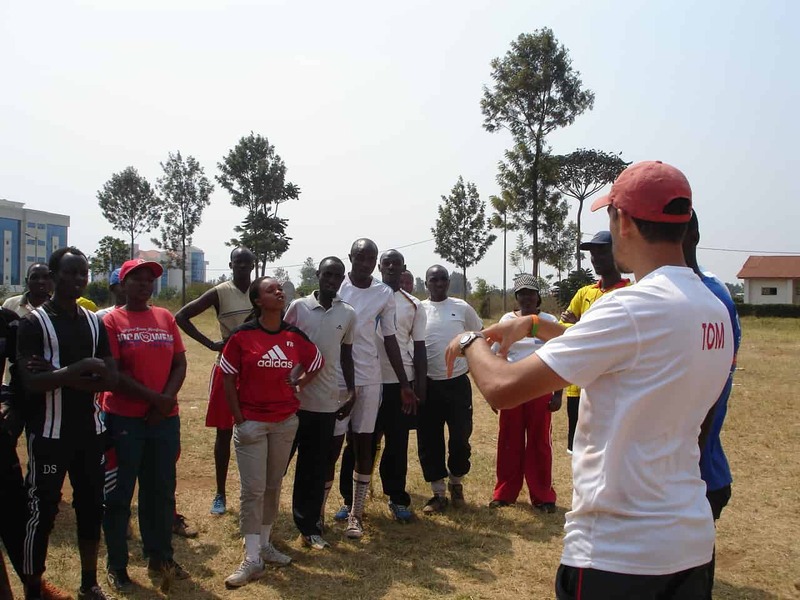 CAC Volunteer and Community Impact Coach, Tom Marsland from Israeli partner, Mifalot, joined CAC team leader, Nora Dooley, in Rwanda for two weeks of programs. He writes about his experience. Hi, my name is Tom Marsland, 30 years old from Israel. Between the 6th of July and the 20th, colleague Yael Paz and I went on a delegation to Rwanda. Our delegation was on behalf of “Mifalot Education and Society Enterprises”, an Israeli organization which we work for, and our mission objectives were to watch, participate and learn from Coaches Across Continents (CAC) and they’re work with the local organizations on how to further implement the social impact in Mifalot’s work in Israel and around the world. 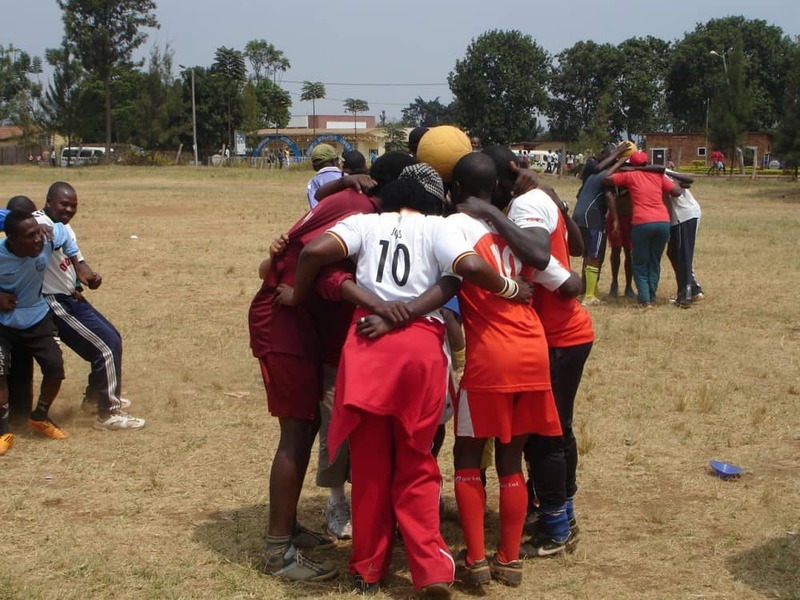 The training in Rwanda was arranged by the local organization FHPU – Football for Hope Peace and Unity, headed by Eric Murangwa. FHPU were responsible for organizing the training, scheduling and more. Dream Team Football Academy, based in Kigali, is another organization also supported by Murangwa and his colleagues, and therefore were significant in our journey. After a few days of adaptation the training began. Each project took about 15-16 hours spread out over three days. The first project took place in Gisenyi (Rubavu) on Rwanda’s western border and the second project was in Rwamagana in the east. We were expecting the arrival of about 100 trainers in both places altogether but in fact came about 180 (!) coaches and teachers who wanted to learn how to use soccer for social impact and as an educational tool. During the training we got to know the coaches and teachers, learned a little about their culture and learned and experienced in depth with them how complex messages, such as gender equality, sexual education etc are becoming simple when you teach them through football. I’m not sure “teach” is the correct word because one thing that amazed me in CAC’s way was how the games vary according to the participants while the message remains the same. It was a great experience also off the pitch, visiting the Agahozo Shalom Youth Village, the genocide memorial and generally spending the time in a foreign country with the kind guidance of our hosts. In conclusion, this delegation to Rwanda was so much FUN!!! We want to take the opportunity and thank the CAC members, Nora “dark warrior” Dooley and Markus “Germany took the world cup” Bensch. It was great knowing you guys and we learned a lot from you.